The man was not taken to hospital. GARDAÍ SAVED A man in his 40s from a house fire overnight on Friday. Around 2.45am Friday morning, gardaí in Castleblayney Garda Station in Monaghan received a report of a fire at a house in Upper Bree, Castleblayney, and of a man trapped in the house. 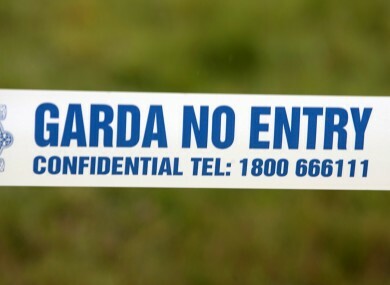 Two gardaí went immediately to the scene and on arrival found a man in his 40s trapped in an upper room. The heroic gardaí were able to locate a ladder at a nearby house and used it to rescue the man. He was treated at the scene by ambulance personnel but was not taken to hospital. Superintendent Alan Cunningham said that neighbour Dorothy McCooey raised the alarm, saying a neighbour was “hanging out of a top window”. He said the man had been asleep when his smoke alarm went off. Going downstairs, he found his sitting room ablaze and had to fight his way back upstairs. He said that gardaí Ian McDonald and Ronan O’Meara attended after being told that fire crews were 10 minutes away. They searched the back gardens of nearby houses for a ladder to reach the man, but could only find one that came up short of the window. Garda Ian McDonald was able to get to the top of the ladder in a manner that was probably unsafe for himself, but he was able to balance the man and take him to the ground. Supt Cunningham says that the two gardaí are “fine” and finished their night shift before returning to work last night. Email “Gardaí use ladder from nearby house to rescue man trapped in Monaghan house fire”. Feedback on “Gardaí use ladder from nearby house to rescue man trapped in Monaghan house fire”.